Ph.D. in Music Theory, Indiana University (minor field concentrations in Music History/Literature and Ethnomusicology); served as Coordinator/Instructor of Twentieth-Century Music Skills from 1988 to 1991; received the Lieber Award for Distinguished Teaching in 1990. M.M. in Music Theory, Ithaca College. B.M. in Theory/Composition and B.M. in Piano Performance, University of Northern Colorado; received the Dale Dykins Award in Composition, 1980. Co-developer of the TAKADIMI beat-oriented system of rhythm solfege. Author of articles in The Journal of Music Theory Pedagogy, College Music Symposium, and ex Tempore. Presenter at numerous national and regional conferences on the analysis of free improvisation, the music of the chamber ensemble Oregon, rhythm skills pedagogy, improvisation pedagogy, and the analysis of vernacular musics with regard to semiotic codes and cultural values. Throughout his years of association with Ithaca College, John W. White has taught a number of courses including select graduate courses in analysis, all courses in the undergraduate theory and sightsinging sequence, Introduction to Musical Styles, form and analysis, analysis of 20th-century music, advanced aural skills, class piano, and other specialized courses such as Choral Arranging, Orchestration, Special Topics: Analysis and Performance, History of the American Musical Theater, and Music and the Media. He is also a regular faculty member of the Ithaca College Summer Piano Institute. In the past few years, he has been increasingly active as a clinician at workshops devoted to jazz theory and improvisation. John remains active as a professional pianist specializing in diversity and is equally at home in the worlds of jazz, classical, and popular music. 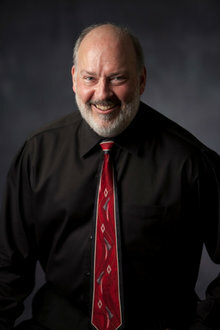 Highlights of his performing experience include: duo and small group collaborations with jazz vocalist and free improviser Rhiannon; appearances with jazz vocalist Kim Nazarian (of the New York Voices) and jazz instrumentalists performers Wycliffe Gordon, Tony Baker, and Paul Hanson; workshop accompaniment for Dr. Barbara Baker (choral director and scholar of Black Gospel music); accompaniment for and free-improvisation collaboration with choreographer Jeanne Goddard; and frequent freelance appearances with numerous musicians in the upstate New York region spanning numerous vernacular styles (jazz, funk, R&B, soul, latin, rock). Recently John concluded a 16-year tenure as the Music Director and Organist for St. Paul’s United Methodist Church in Ithaca, NY. Currently he sings bass with the Ithaca-based Bel Lago Chorale.